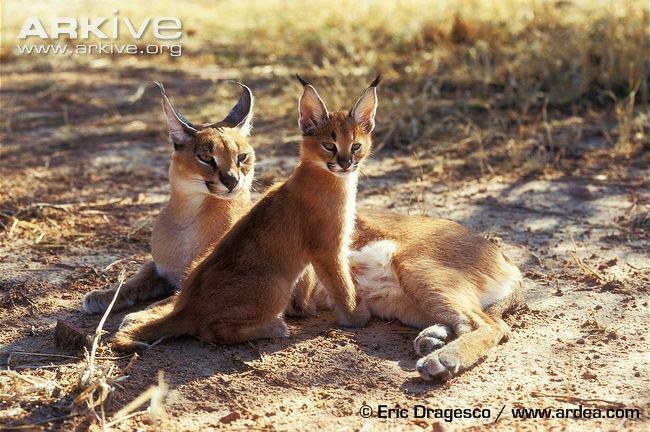 Caracal cats (Caracal caracal) are easily recognizable by their long black ear tufts and plain reddish coats. Although not genetically related to true Lynxes this cat is often called a lynx due to their ear tufts. 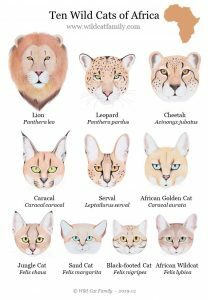 Its natural distribution is in Africa and Asia, however the Caracal is well known as one of the exotic feline species bred in America for the pet trade. 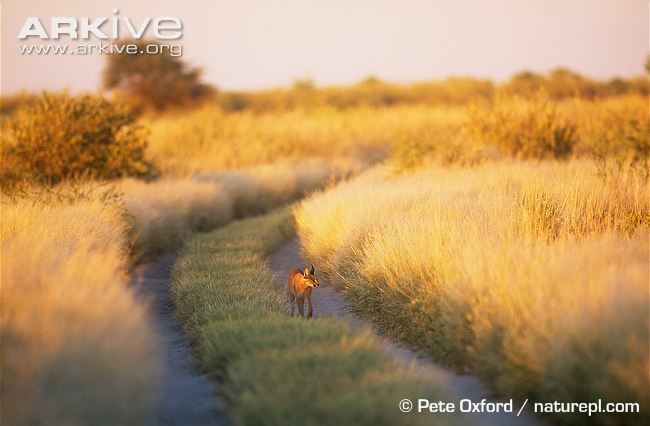 In Southern Africa the Caracal, together with its sympatric species - the Black-Backed Jackal, are considered problem animals, and a Predator Management Forum has been established in South Africa to tackle this ongoing predator conflict issue. 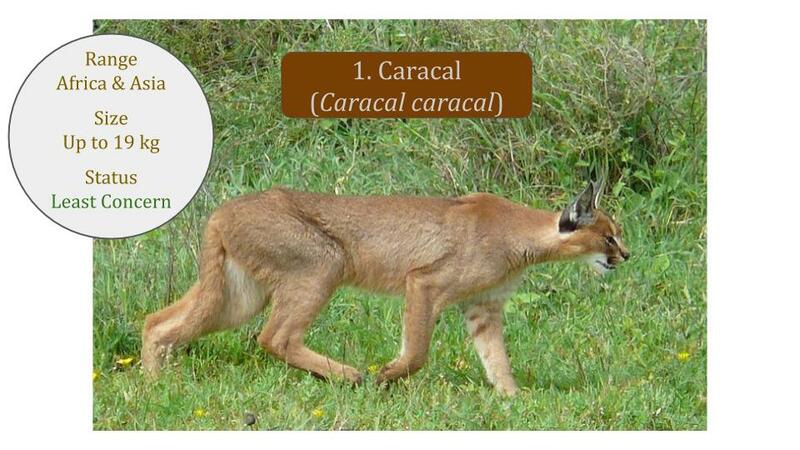 A recent study on the urban caracals that have been isolated on the Cape Peninsular has highlighted the issues of rodent poisoning and road kill as factors affecting Caracals in the Western Cape of South Africa. 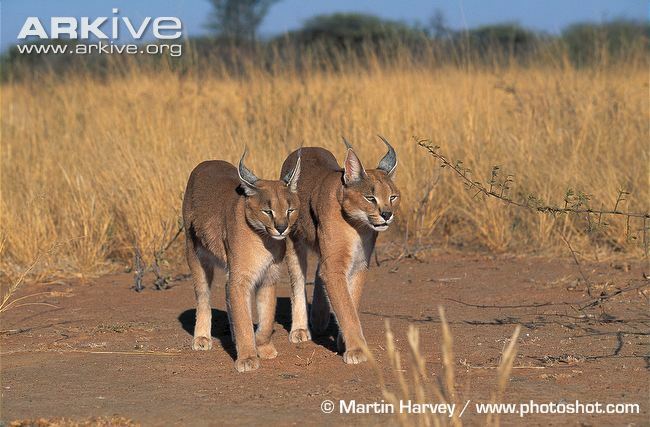 There is a need for urgent research in the northern African and Asian regions of the Caracal distribution, where numbers are declining.